Lately, I have been shopping online and reviewing sound bars to purchase. Almost every source kept leading me back to the Vizio SB2920-C6 high-definition sound bar. Being a huge audiophile, I was looking for a product that will guarantee me a good listening experience and the sound quality of Vizio SB2920-C6 sound bar surpassed my expectations for a 29" system. In this review, we’re taking an in-depth look at the Vizio SB2920-C6 29" 2.0 channel sound bar (2015 Model), which is still securing its position as the best-selling sound bar on Amazon.com, within the Vizio brand name. The first thing to note about the Vizio SB2920-C6s is that they offer a compact design as compared to others in the category. Coming in at just 29 inches long, this is a fairly small design as sound bars go, and it is an attractive addition to any home audio setup. The company has spared no expense on the aesthetics of this soundbar, and the C6s offer a surprisingly opulent design. As a rule, sound bars do not typically offer a great deal of real estate when it comes to creating interesting and original designs, but this device does a great deal with the minimal space it has to work with. 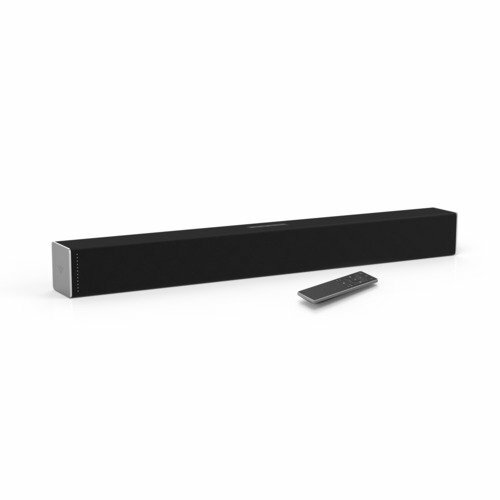 Depending on your particular requirements and needs, the Vizio SB2920-C6 29" 2.0 channel sound bar 2015 Model can be easily installed on a tabletop or mounted on the wall. This design provides extra flexibility to a device for which the form element and aesthetics are both already exceptionally versatile. It means it won’t be a challenge to find a suitable place for the soundbar in whichever room and arrangement suits you and your tastes. At this price point, you probably won’t find a whole lot of extra features as the main focus of the product is on ensuring as high quality an audio experience as possible for your money. This model does not unnecessarily bloat the feature list with unnecessary extras. In terms the audio being offered, it’s really quite challenging to find error with what Vizio has been able to pack into the comparatively small frame of this soundbar. Operating up to an impressive 95dB, the sound remains almost entirely free from distortion even when maximizing what was possible to produce. The overall audio effect is best described as “crisp.” The bass does exceptionally well in retaining character and clarity, even when turned up quite high. This sound bar doesn’t fall into the usual pitfall of becoming murky and drowning out the rest of the track. 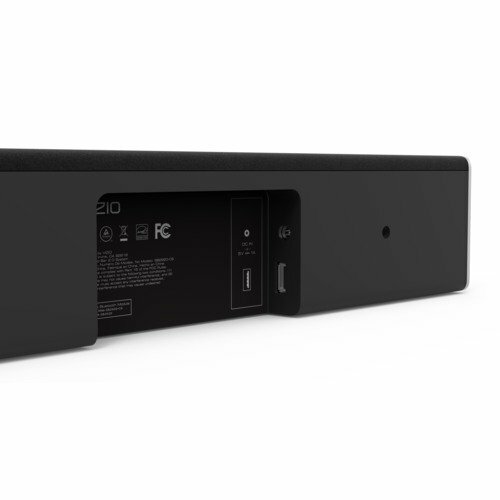 The Vizio SB2920-C6 soundbar has control buttons so if your remote is not working, you can still operate it with the four menu buttons: power, input, Bluetooth, volume up/down. The Bluetooth feature helps to stream audio from your smart device (like your smartphone or tablet). On top of that, you will also get DTS TruSurround which is some magical way to make the sound more 5.1. This will be of benefit to you when you’re watching a movie, and you want to hear the sound throughout the room. 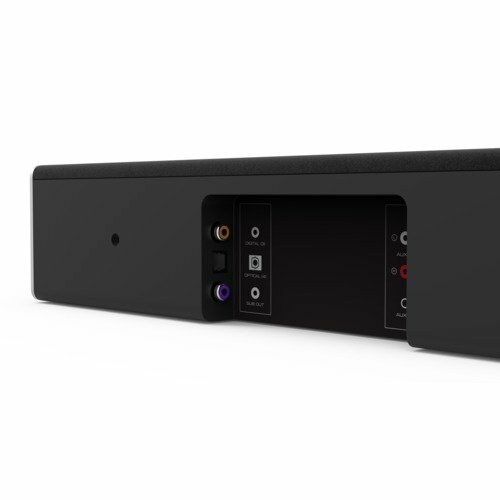 As an entire sound system is made to fit into a slim bar, every effort has put forth to provide a sound bar that offers a true Surround sound effect. This technology produces a virtual sound effect that mimics a real surround system, so the sound you hear from the soundbar is not limited to the space directly in front of it, but it immerses you like a typical surround sound. Watching movies with your TV connected to the Vizio SB2920-C6 soundbar can give you such a premium sound experience that you will feel as if you are part of what you’re watching. If you’re considering a soundbar because you can't hear the dialog on movies, you will love the Vizio SB2920-C6 29-Inch 2.0 Channel Sound Bar (2015 Model), as it gives you a truly unique sound called DTS TruVolume, which minimizes the distractions of fluctuating volume. This technology will allow you to hear all the dialog much more clearly and it will raise the volume of dialog when it needs to without making the sound of explosions or bass in the movie become too overpowering. Being able to crank up the volume is one thing but maintaining the set volume on your soundbar is an entirely different thing. The SB2920-C6 comes with this patented technology that decreases changes in the volume level to give you a truly immersive and consistent volume level. Just establish your preferred volume level, sit back and enjoy! 1. I’d like to add a 12-inch subwoofer along with this soundbar. Would they integrate together or would the 12-inch subwoofer be too powerful for this sound bar? 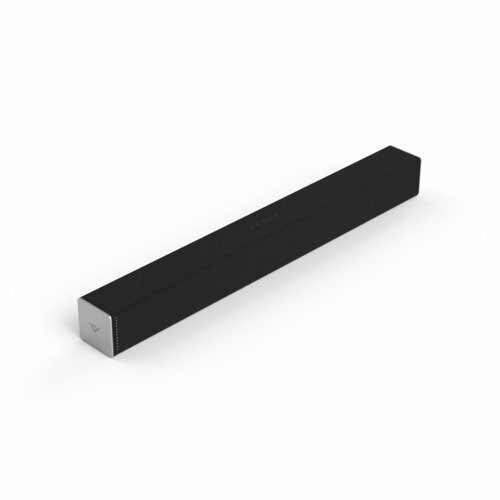 This soundbar has an audio output that could be used to connect to an external sub-woofer. 2. Can this sound bar be used with a 32-inch TV? Yes, it has RCA and optical outputs. So as long as your TV has one of those, you should be good to go. 3. What're the differences between the 2.0 and 3.0 sound bar? The 2.0 has a left and right speaker while the 3.0 has a left, right and center speaker. 4. Can the sound bar be mounted to the top or bottom of a Vizio flat screen TV? 5. Does this Vizio soundbar clarify voice dialog? Yes, all you do it plug it in, and it is ready to go. 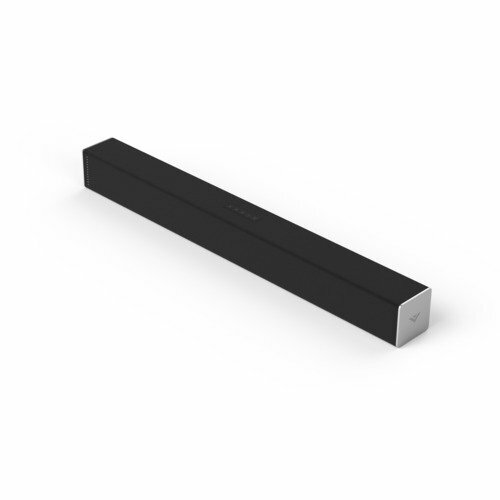 The Vizio SB2920-C6 soundbar is 29.0” long with a power output of 95dB with 2.0 channels. It has Bluetooth connectivity. The setup is very quick and easy - just connect the sound bar to your TV using one of the included cables. It is wall mountable and includes mounting hardware and remote control. This soundbar comes with a one-year warranty on parts and labor and free lifetime technical support. The sophisticated design makes it an attractive add-on to any TV sized 32” and above. Use Bluetooth to stream music from your smartphone, tablet or computer. Everything you need for a quick and easy setup has been provided, so upgrading your audio system to an incredible home theater experience has never been this simple. You simply plug it in, connect it to your TV, sit back and enjoy. This soundbar features two mighty full-range stereo speakers that give a boost to your audio and deliver amazing sound. These streamlined Vizio sound bars are constructed to enhance your TV with a simple body style that balances any room of your home. They utilize DTS auditory technologies to deliver superior multi-channel audio for the most immersive sound quality. For deeper, richer bass, you can incorporate the Vizio SB2920-C6 sound bar with your subwoofer if it has an input on the back. It provides a powerful boost to the speakers in your thin flat screen TV, and you can hook up multiple devices at the same time. For the diehard USB fans, you can play your music on your USB stick by inserting it into the USB port. We picked three similar products available on the market to see how they compare to the Vizio SB2920-C6. This sound bar completes your home theater system by incorporating four high-quality full-range speakers and two passive radiators to enhance the bass. Traditional and modern devices work with the sound bar thanks to both Bluetooth or wired connections. For convenience, double operation modes are included along with a remote control to regulate playback settings, including both volume and track selection. You can set it under the television or mount it on the wall for a convenient and elegant setup. Constructed with a sturdy material that will last through the years, the design suits any home while adding a modern and high-tech feel. These digital sound bars deliver magnified high-quality sound power. At 32 inches long, it fits easily under any home television monitor. Remote controlled system includes AUX, USB and optical ports along with Bluetooth capability. The sound bar connects with most large brand TVs to provide a premium audio experience. Experience theater-level bass from the comfort of your living room. 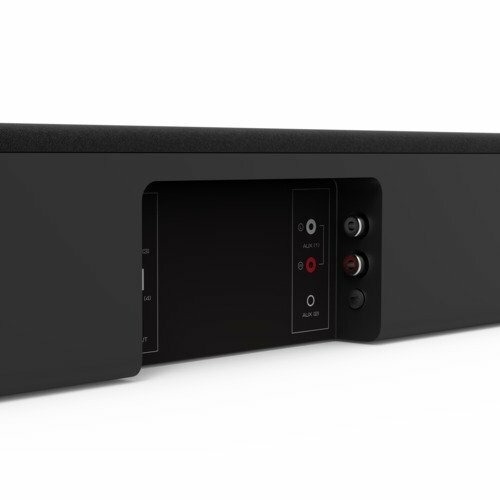 Not compatible with most TVs manufactured in the U.S.
A flexible Bluetooth sound bar, the RSR TB220L offers an easy way to deliver room-filling sound. This 2.0 system delivers rich, clear sounds to enhance any music, gaming or music experience. which can be mounted on the wall. The sound quality we enjoyed with the Vizio SB2920-C6 was much better than other conventional soundbars we tested. It produces up to 95 dB of filling sound with less than 1% total harmonic distortion. If you are looking for one of the best Bluetooth sound bars that deliver superb sound quality and value for money, the Vizio SB2920-C6 sound bar is definitely worth checking out. For the money you’re spending, VIZIO has managed to pack a whole lot of quality into the relatively small frame of the C6. A beautiful design, the audio experience has all the features of a much more costly device. 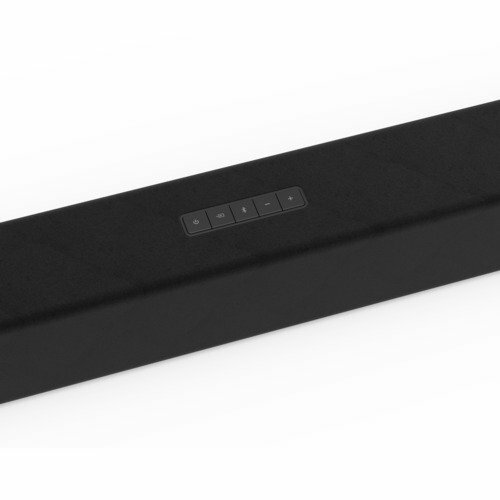 Basically, this soundbar has everything you could possibly want in a soundbar. 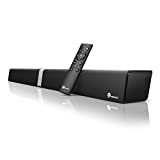 Whether you’re throwing a party or having a stay-at-home movie viewing with friends and family, this sound bar has you covered with its amazing sound. You get all of these features and more at an incredibly small price - it even gives more expensive soundbars a serious run for their money. VIZIO SB2920-C6 has a Premium audio with TruVolume or TruSurround HD feature that produces good quality of sound and it also has a treble and bass adjustable feature that enables the users to lower and higher the sound frequency produced by this speaker. However, It is not HDMI compatible.